Finally after 6.5 yrs, it’s time to say good bye to Bangalore & to GE. 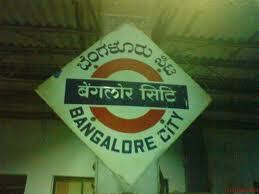 It was 4th March 2006 when I came to Bangalore for first time & I won’t say it was “Love at first sight”. It just felt like another Indian metropolis city. I cleared my interview & so was back again on 4th June 2006, but this time for a long stint. Before that I always thought, 4 years of hostel life in NIT Rourkela were most happening part of my life, but these 6.5years in so called “Garden City” proved me wrong. These 6.5 years has made me a complete Man, a person with more experience of life events, situations, who can handle any adverse moment of life. I am proud to say that, I am the person with longest stay in Bangalore from our 2006 NITR batch, with people coming in & going out. I have shared house rent with 25 even friends. Having stayed in many parts of Bangalore (Whitefield, BTM, HSR, Sarjapur junction on Outer Ring Road, Kodihalli), I can proudly be called a Bangalore travel guide. I have seen areas of Marthahalli, Whitefield, Outer ring road grow in front of my eyes, but regret about my failure to get my hands wet in this “flowing Ganges” of booming real estate (Hindi proverb). I was one of the few in non-software job in Silicon Valley. Whenever I say, I work in Bangalore, by default it is assumed that I work in a software company & it was always difficult on my part to explain that I was not in any software or IT company. Sometimes I even gave up (I remember my telephonic discussion with HSBC Credit card agent, where he denied me CC, the moment I said I am not in any software company..ridiculous). Nevertheless, in this environment of high attrition rate among my fellow netizens, I know 6 years is a very long stint in a company. But, GE-JFWTC is a company where you stay for lifetime. It is definitely THE best working place in India & I was very lucky to have it as my first job. But then as saying goes “some good things cannot stay permanent in your life” & so time has come to say it bye. GE-JFWTC, Bangalore, is the company to work for especially if one is of electrical & Mechanical background. The work environment is just superb, relaxing & thought provoking. Salary may be median of industry standards, but other facilities & environment, they provide is just priceless. Jokingly, we often say, the place is perfect for retirement. Bangalore..what do I say? I have got mixed emotions for it. On good side is, it’s hill station type weather, largest boiling pot of culture n people (after Mumbai & Delhi) and relatively good n cool people. It does provide purse emptying shopping, dining & pubbing experience. And the best part is, it’s centered geographical location in South India, which makes it perfect base camp to explore all of South India on weekends. On downside is its crumbling infrastructure, looting attitude of transport agencies. The worst things are the back breaking humps which are anywhere & everywhere. In nut shell, Bangalore is one of the paradises, which will soon fall victim to human greed. Life for me in Bangalore has been through lots of ups & downs. Ups with weekend parties with friends, long drive with them, in-house smiley ball cricket, lots of dating n flirting, lot of rewards n recognition in professional life, two foreign trip opportunities. Down with daily traffic jams, couple of robberies, broken heart & few unfulfilled dreams. Nevertheless, it has taught me priceless lessons, which will be there with me all the life. I can definitely now say, I am now a complete Human being, who has known the purpose of life: is to perform your duties without attachments. So what I will miss (but no attachments)? Personally, I will miss by bus stop casual flirting, I used to have in BTM (Upudi garden stop), in malls, pubs n restaurants, fast rides on NICE road, late night drive to Hosur to have a cup of Tea & very early morning rides to Nandi Hills & ISKCON temple. Definitely, will miss the most pampering working environment of India (JFWTC-Bangalore), weather of Bangalore & last but not least my friends in Bangalore. It is you all people, who made my life in Bangalore beautiful & sometimes sour. Thanks for your company all these years, late night khattis n smiley cricket. I know our roads will cross again & again, till death terminates the roads. So, no good bye to you guys. So gone are those days. What happened in Bangalore, stays back in Bangalore. I will just take away all the sweet memories n lessons learnt. Looking forward to another new world. Here I come MUMBAI.